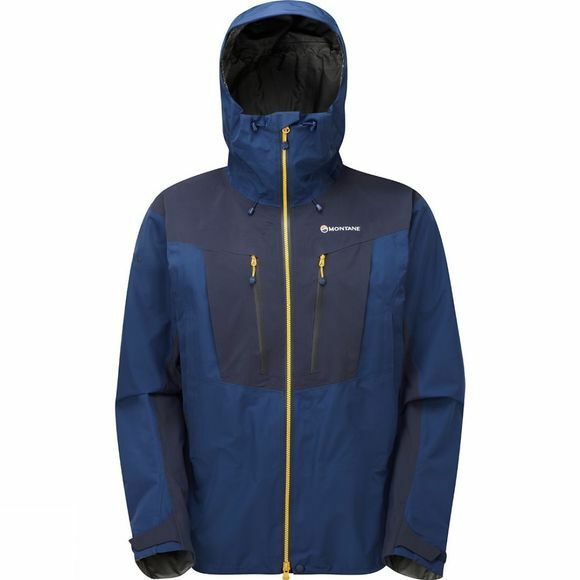 The Men's Endurance Pro Jacket from Montane is a high spec winter jacket for the most extreme adventures. 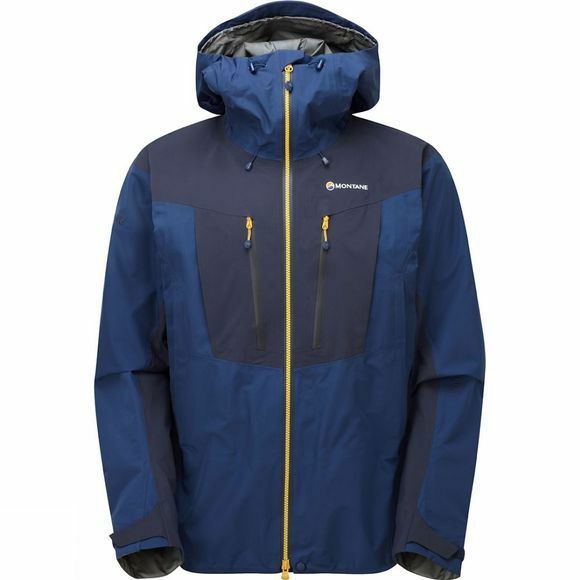 It is built with 40D Gore-Tex Pro with 70D Gore-Tex Pro reinforcements across the shoulders, down the arms, on the chest and at the hips for excellent durability, especially when wearing heavy packs for long days. The jacket boasts slightly larger chest and bicep dimensions to allow room for extra winter layers while still ensuring complete freedom of movement. The pit zip ventilation on the jacket is angled in order to reduce excess bulk but also to make it easier to open and close the zips when on the move even if you are wearing a rucksack. The gusseted cuffs on the jacket allow for thick winter gloves to be worn comfortably and the hook and loop tab can be closed to cinch around the wrist for maximum protection. An adjustable cinch cord at the waist allows you to reduce the volume inside the jacket if you need to while the cinch cord at the hem helps to block out bad weather. The zips on the jacket are all water resistant to reduce any water ingress and the hood is big enough to swallow your helmet while the volume adjusters make it fit perfectly when you don't have the need to wear one. An ideal jacket for any serious winter mountaineer, it has been designed with careful thought and refined by professionals.